Due to limited performer availability this spring, the annual T4TH fundraiser has been delayed until fall 2017. Stay tuned for updates and further announcements! Another wonderful Talent 4 the House in 2016! A couple hundred Disciples gathered Thursday evening, Aril 7, at Woodmont’s Drowota Hall for this amazing night of music and fellowship in support of the Disciples Divinity House at Vanderbilt and its students, who are preparing for ministry at Vanderbilt Divinity School. Gabe Dixon sang two new songs off his just-released CD, plus Disciples favorite, “All Will Be Well,” before leaving to go to a Tin Pan South Songwriter’s Night event at the Station Inn. Maura O’Connell next brought her strong voice and glorious Irish presence to the stage, including “The Blue Train” among her songs. The Disciples House Band, led by Evan Bunch, got the whole crowd singing “I’ll Fly Away.” The Live Auction was, as usual, a contest, with the “O What a Foretaste of Glory Divine Peanut Brittle” tying a record price, along with a custom handmade quilt and a Hatch Show Prints poster for the night, signed by all the performers. The Silent Auction was a success as well, with all items purchased. Ben Saunders debuted a new video about the impact of the House, featuring alums Emily Nourse, Mike Lehman, and Bill and Kaki Frisckics-Warren. 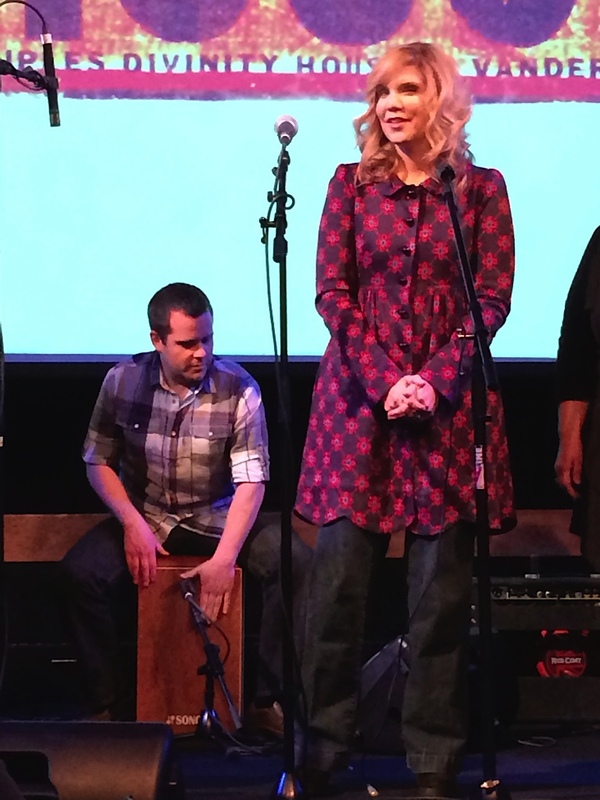 Andrew Peterson followed intermission with his lovely, touching songs of faith and life, and as usual, Jonell Mosser closed out the night strong, finishing with a duet with Maura on “An Irish Blessing” which she had performed at Maura’s wedding. This was the 9th Talent 4 the House. Since 2008, Talent has raised well over $100,000 for the support for student preparing for ministry through the Disciples House at Vanderbilt. Thanks to the sponsors (listed below), to Woodmont for hosting again, to the performers, to all the donors of items for the auction, and to the Talent 4 the House committee led by all-star chair Dieta Duncan! Keep checking back to this website for more. We will soon be posting other media recordings of this year’s Talent 4 the House! UPDATE: photos from 2016 T4TH have been uploaded to a separate page. Click here. 2015 Talent 4 the House was as spectacular as ever! 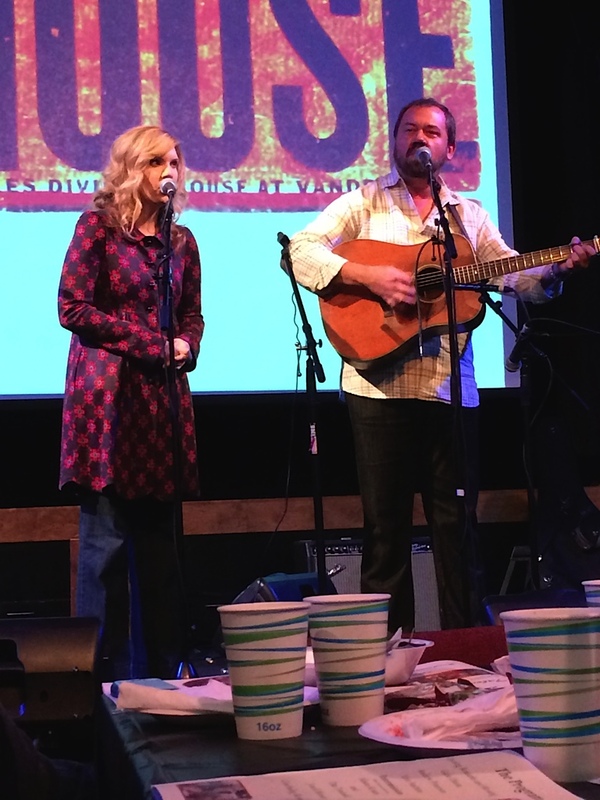 Nearly 500 Disciples and guests turned out for a spectacular evening of fun and stellar entertainment at this year’s version of Talent 4 the House, April 7, at Woodmont Christian Church, Nashville. Those in attendance came from 13 Disciple congregations in Tennessee and Kentucky, as well as several general units. And the stars were out as well—entertainment this year included headliners Vince Gill and Amy Grant (fresh from the President’s Easter Prayer Breakfast in Washington early that morning), plus Nashville Disciple favorites Gabe Dixon and Jonell Mosser. Desserts of all kinds and a coffee bar kept everyone well-fed between songs, and the silent auction was again supplemented by a live auctioneer. Ben Saunders crafted a video about students and their appreciation for life in the House. Bryan Sargent of Mix 92.9 FM was the evening’s Master of Ceremonies. 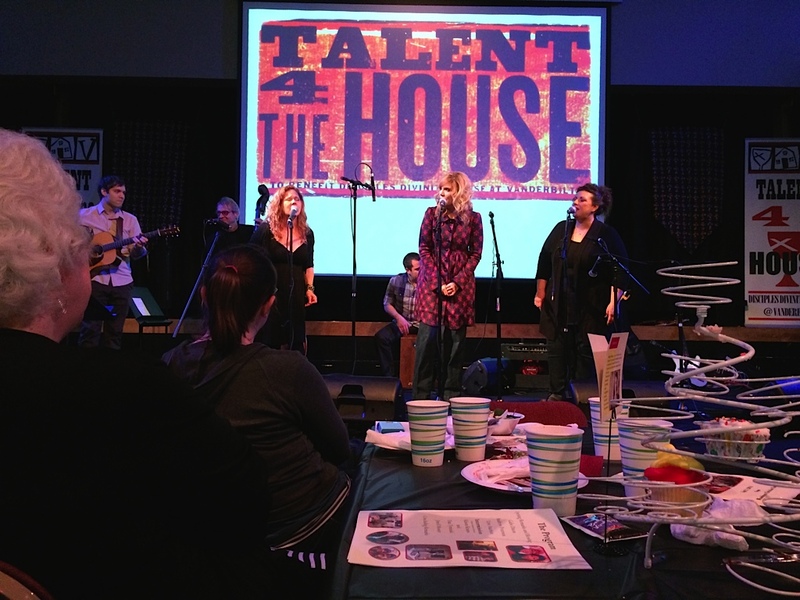 Talent 4 the House rai ses funds and friends to support the Disciples Divinity House at Vanderbilt, which provides scholarships and housing for Disciples ministry students at Vanderbilt Divinity School, and helps teach them how to do ministry. 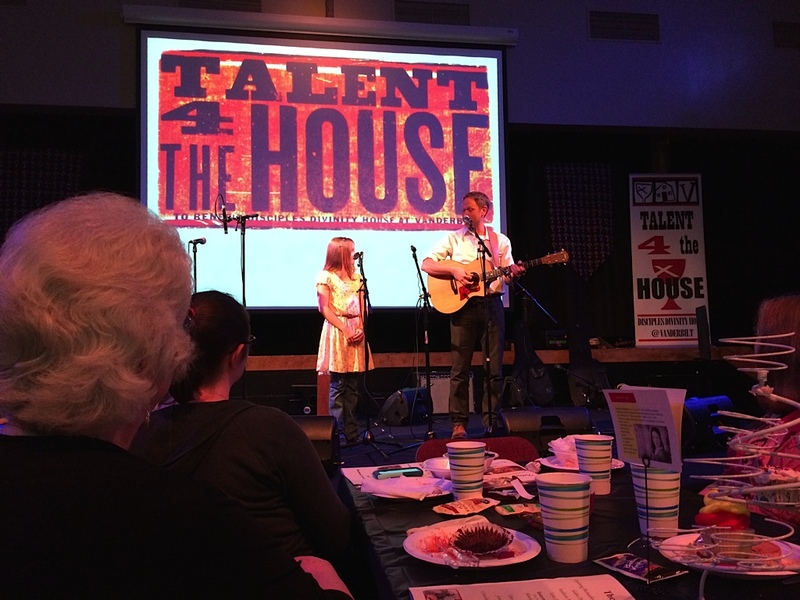 Talent 4 the House was a rousing success in 2014! T4TH has become the largest gathering of Disciples in middle Tennessee and western Kentucky, with the participation of over 20 churches, numerous organizations, returning alumni, and many sponsors in support of ministry students at the Disciples Divinity House at Vanderbilt. Audio clips and other photos included below. We will post even more photos in the coming days! Given in honor and memory of Charlie Howell by Julie Howell. Given by the Norton family in memory of Herman Norton.